The Path of Remembrance leads from Plötzensee Memorial Centre to the nearby churches dedicated to commemorating resistance to the National Socialist dictatorship. Limited barrier-free accessibility; cyclists are asked to dismount. No winter service in this area. In the event of ice or snow, please go via Friedrich-Olbricht-Damm. Streets, bridges and public buildings named after men and women which were in resistance during the nazi regime. 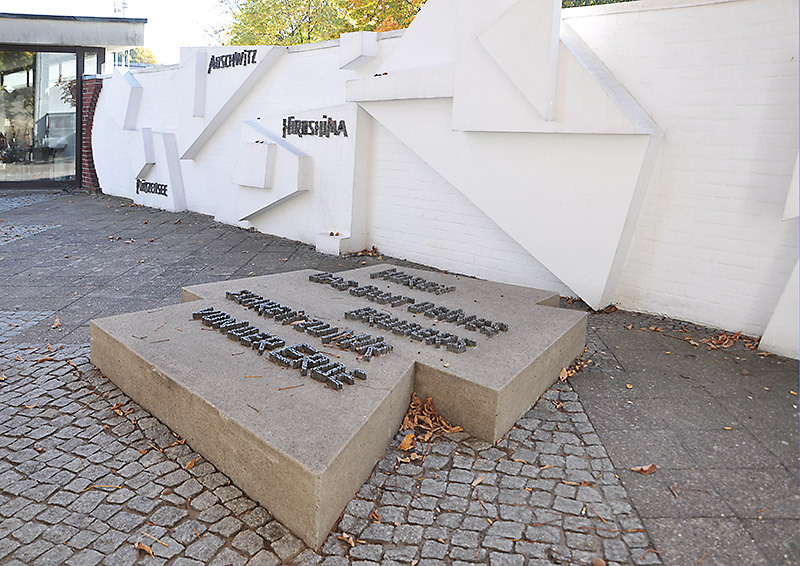 There has been a memorial to the victims of National Socialism at home and abroad at the former execution site of Plötzensee prison since 1952. Between 1933 and 1945 more than 2800 people unjustly sentenced by the National Socialist judiciary were murdered here. They included many women and men from the resistance against National Socialism. The memorial is intended as a place of quiet remembrance. 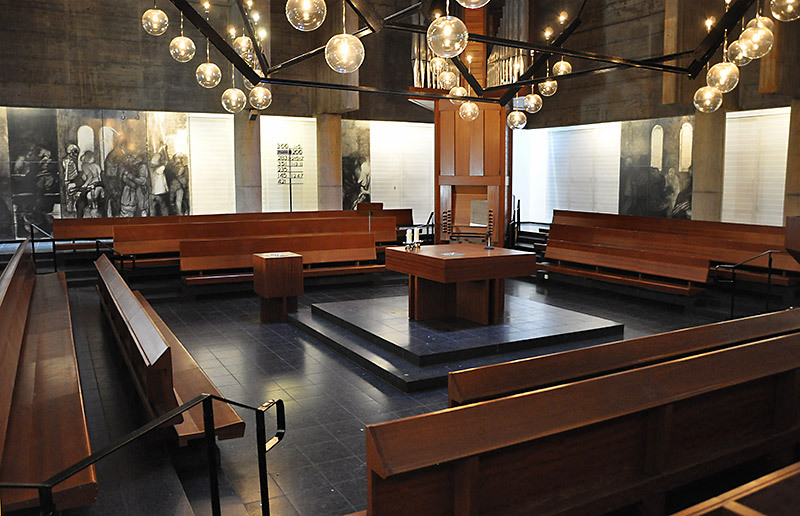 The room in which the executions were carried out is a place of remembrance today. In the room next door, an exhibition provides information about the unjust National Socialist judiciary and the people who were murdered by the National Socialist regime in Plötzensee prison. There are information assistants at hand on the grounds of the memorial to answer any organisational questions that you may have. 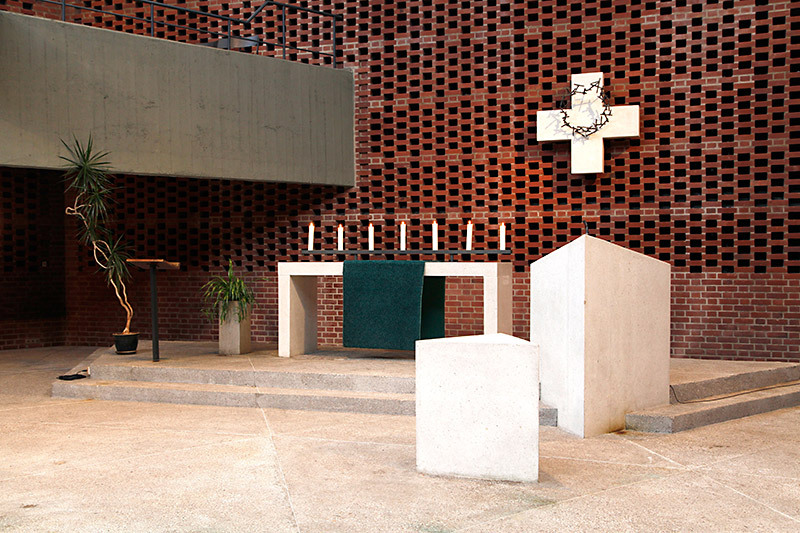 The group of buildings that make up the community centre include the Protestant memorial church for the victims of Plötzensee (consecrated 1970). 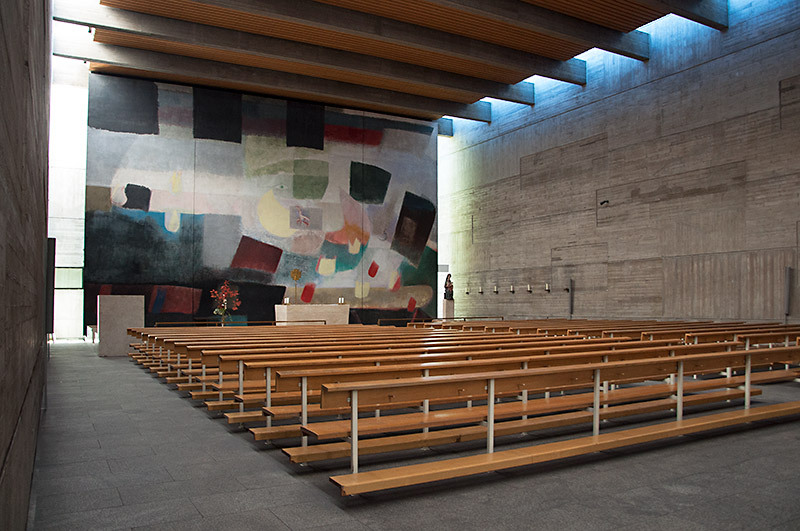 The Austrian artist Alfred Hrdlicka was commissioned to design the church interior. From 1969 – 1972, he painted a cycle of pictures entitled the »Danse Macabre of Plötzensee«. Large-scale drawings draw connections between images of the executions at Plötzensee and biblical and contemporary scenes. 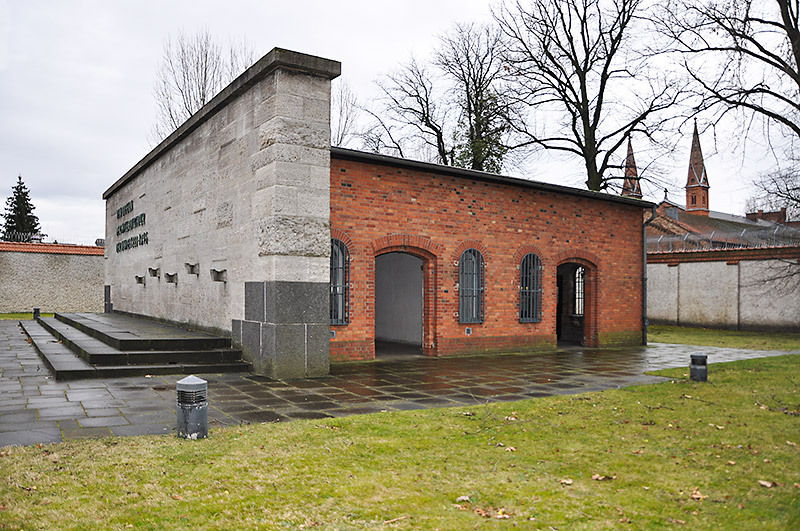 The community centre also serves as the site of the Ecumenical Memorial Centre Plötzensee »Christians and Resistance«. 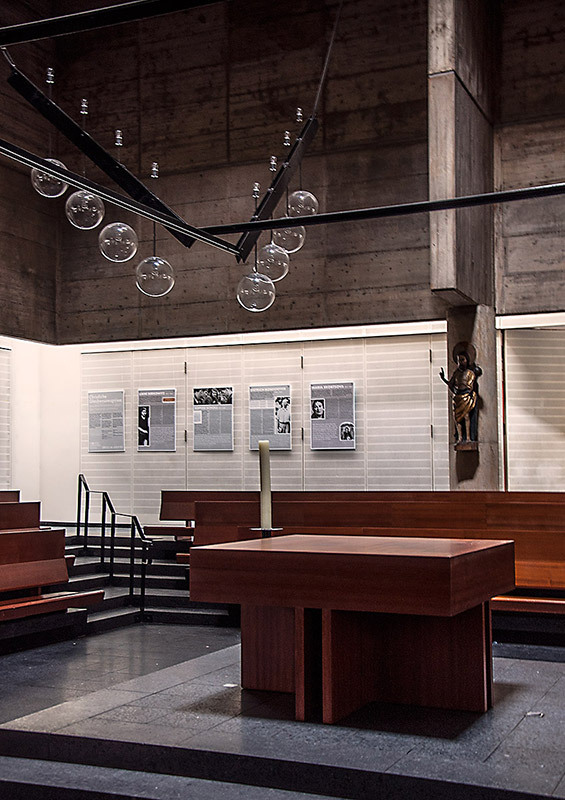 The area for religious services also houses the exhibition »Christian Testimonies of Faith from the Resistance to National Socialism«. 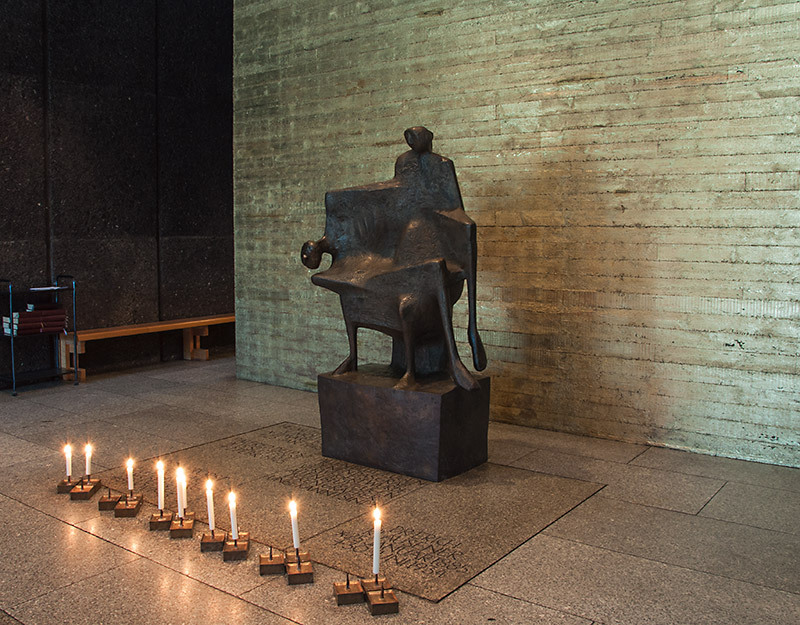 The memorial church of Germany’s Catholics, consecrated in 1963, is dedicated to the »Martyrs for Freedom of Religion and Conscience in the National Socialist Era«. 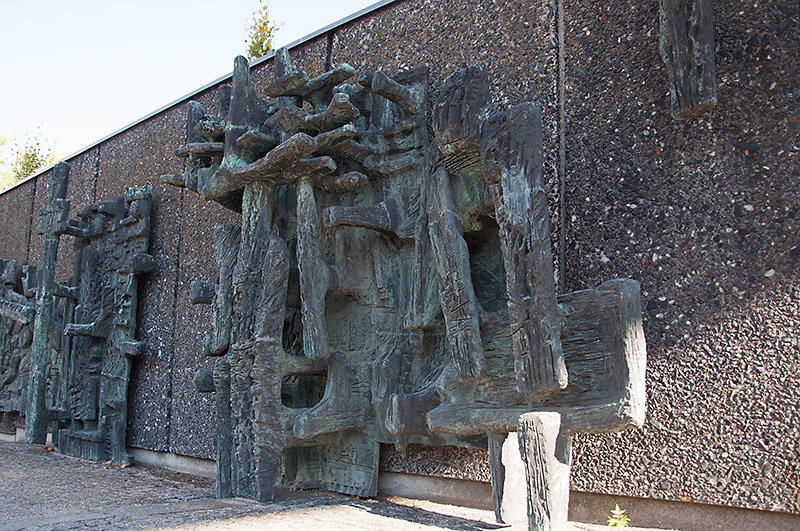 Visitors encounter artworks by Hans Schädel, Fritz König, O. H. Hajek and the monumental altar painting by Georg Meistermann. The monastery directly adjacent to the memorial church, established in 1984, is home to Carmelite nuns. They see it as a challenge and opportunity to create a space for prayer here that is open to searching people. 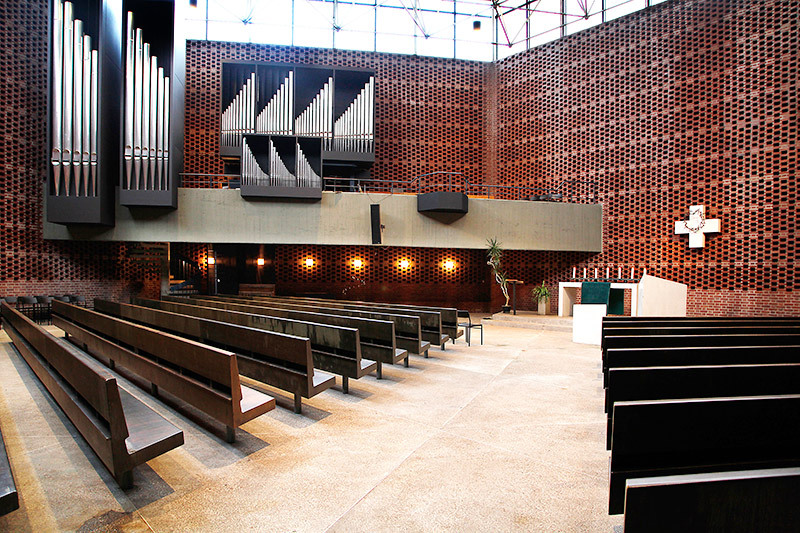 Built from 1962 – 1964 for the residents of a settlement being built at the time in Charlottenburg-Nord, this church is a striking example of modern ecclesiastical architecture. 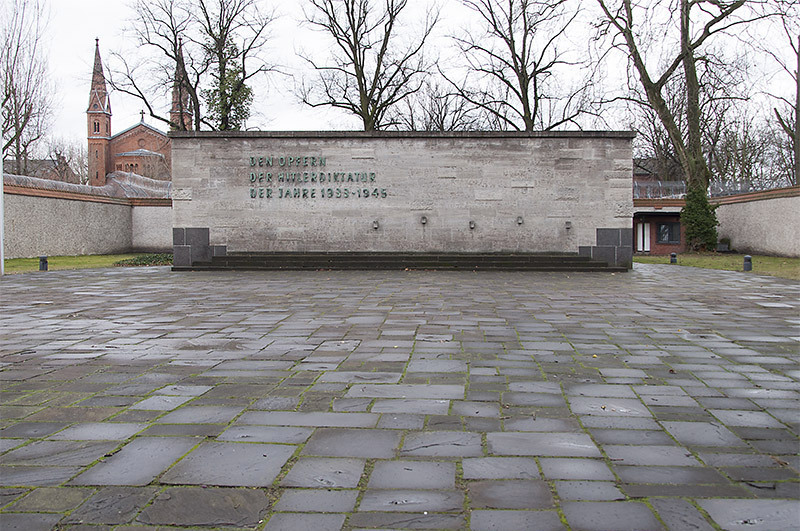 The memorial wall »commemorating the places of terror of human society« was built in 1964 as a freely-accessible brick wall with a ground slab between church and parish house. The association »Ecumenical Memorial Centre Plötzensee. Christians and Resistance« was founded in 2009. The aim is to intensify co-operation between the central memorial church of Germany’s Catholics, Maria Regina Martyrum, and the neighbouring Protestant Memorial Church Plötzensee and to commemorate the fact that resistance to National Socialism motivated by Christianity was ecumenical in nature. A library on the topic of resistance is under construction. 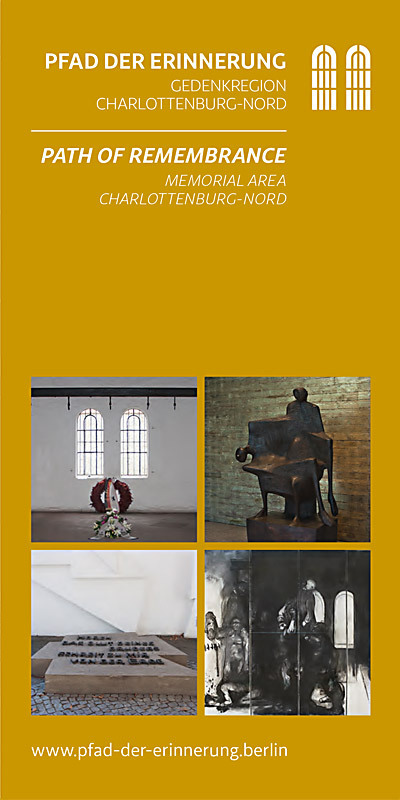 Since the early 1950s, almost all streets, squares and public buildings in the memorial area Charlottenburg-Nord have been named after men and women who resisted National Socialism for various reasons. Many of them were executed at Plötzensee prison. The brochure Straßen – Namen – Widerstand. Wege in Charlottenburg-Nord by Heike Schönemann and Michael Maillard gives detailed information (in German). Download the flyer as pdf-file.